Studio 300 recently acquired a new HD video camcorder with amazing built-in stereo audio recording. 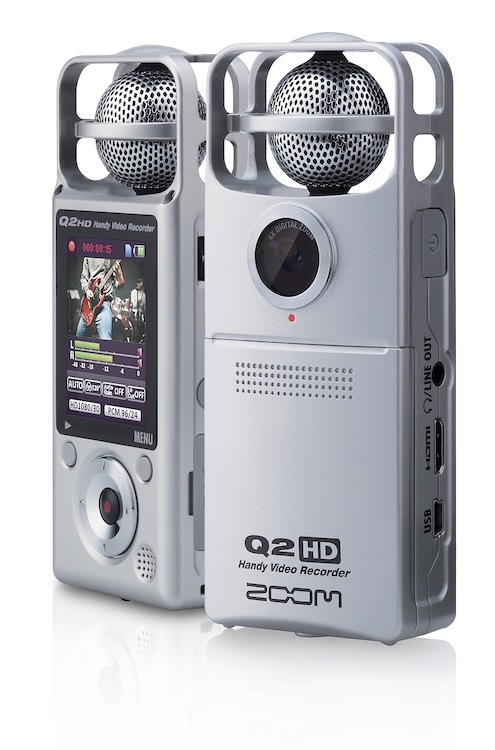 The Zoom Q2HD is perfect for capturing live music performances with high-quality sound. The camera has a built-in microphone with variable stereo based around the principle of mid-side recording (read about that here). 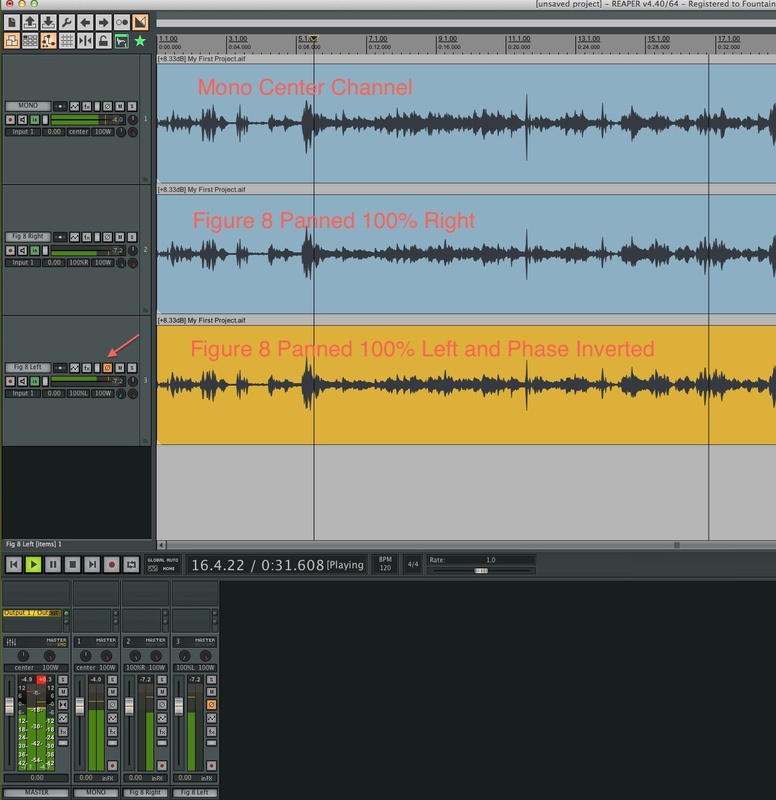 The mid-side technique gives you a variable stereo with 100% mono compatibility. The Q2HD also records in high-quality digital formats up to 96kHz/24-bit. That translates into rich stereo recordings with depth and detail. The camera, of course, also records HD video to go along with its great sound. To take advantage of the variable stereo offered by the Q2HD requires some additional work in a Digital Audio Workstation, such as Reaper (available in Studio 300). The screenshot below shows the basic workflow. The details are beyond the scope of this blog post, but we’re happy to explain this technique further to you. Just ask. The Q2HD is available for use in Studio 300. Studio 300 would like to introduce our newest microphone acquisition: The MXL USB.009. Before we obtained this mic, Studio 300 patrons would typically use a setup that required not only a pro-quality mic, but a cart full of gear that is required to allow that mic to work. USB mics, however, have been designed to include everything needed to plug in and interface with a computer very simply. 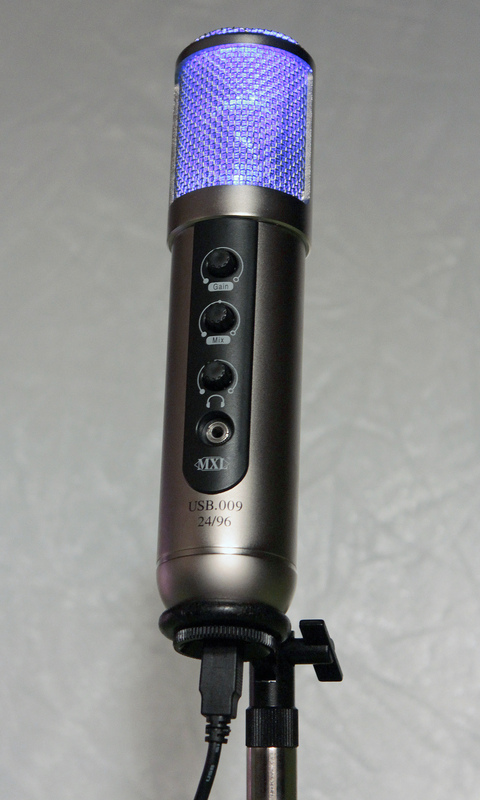 The USB.009 is a large diaphragm condenser mic, like many other world class recording microphones. Where it differs is that it will plug directly into both our Mac computers (or Windows, too) via a USB cable. Because it is an all-in-one setup, the mic features its own gain control, input/output mix level, as well as its own headphone jack and headphone volume. All that is needed is a computer with an audio recording software program, a pair of headphones, and the mic itself. For patrons who are looking to do voice overs, podcasts, or simple audio recordings, this setup is perfect. Come in and try it out today!